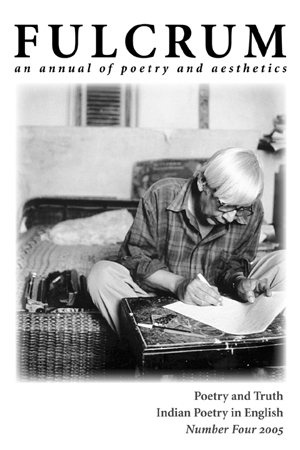 Front cover art: Poet Dom Moraes (1938-2004) in Bandra, Bombay , 1997. Pam Brown: Poets Are Fakers. Just Make It up! Arvind Krishna Mehrotra: What Is an Indian Poem?